Growing your plants from seed to harvest is way more fulfilling than just planting store bought transplants. It’s much cheaper too. 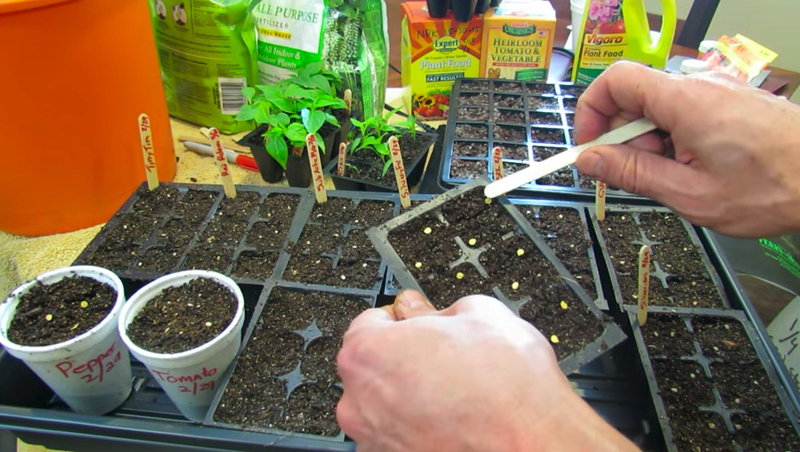 But germinating seeds correctly can be somewhat of a tricky matter. 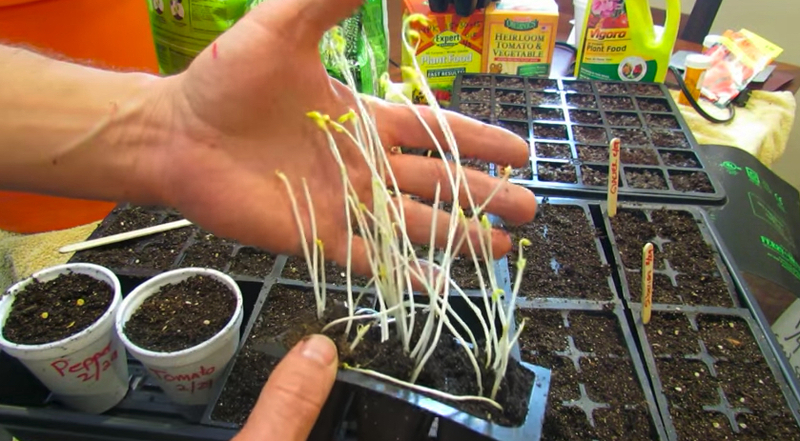 There are a lot of different methods that work better than others but this video by YouTuber gardener Gary Pilarchik, maps out the most effective and simple way I’ve found to start seeds that germinate quickly, uniformly, and vigorously. When to Start Planting Your Seeds? 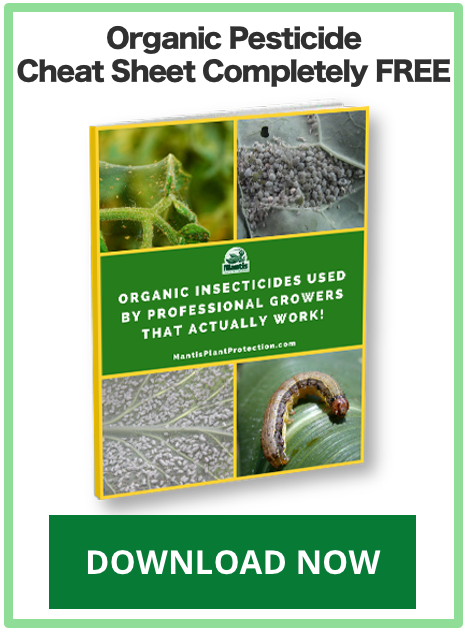 At the time of me writing this post I’ve been planting tomato and peppers seeds for my garden but these principles apply to just about any vegetable, ornamental, or herb plant you can imagine. To time your planting properly, you want to count backwards from when your plants can be transplanted outside, which is typically when outdoor nighttime temperatures in your area average above 50 degrees. For tomatoes plants, 6-8 weeks before this date. And for pepper plants, 8-10 weeks before. 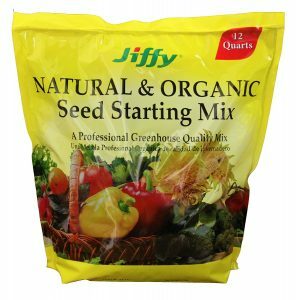 Jiffy brand is a good seed starter mix to use. 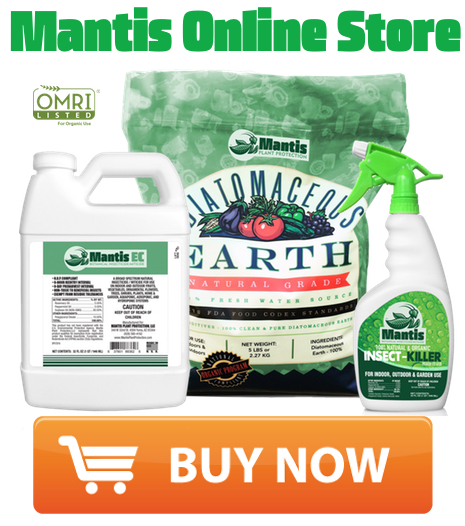 Seed starting mix can carry mold and fungus spores and even carry fungus gnat eggs and other problematic insects. For that reason, never use soil from outdoors to germinate your seeds! 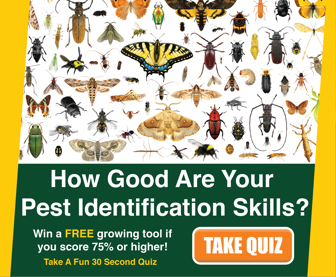 You’ll bring in fungus and insects and get a horrible start to your garden. Using a good starting mix like the picture to the right, put into a bucket and add boiling water which helps sterilize it from mold, fungus and gnat eggs. Always pre-moisten your mix which will make it pack down better and is much easier to handle. (nothing more annoying than dry soil mix blowing all over the place on a slightly windy day). Add your first level of starting mix to your starter tray cells and then press it down so that soil makes good contact with bottom drainage holes. (tight contact with bottom holes is crucial for proper bottom watering that we’ll discuss in a minute). Then top off with second layer of starting mix and now your trays are ready to start planting. 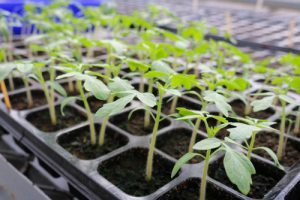 If you’re going to be planting a lot of plants, it’s best to use multi-celled seed starter trays that will eventually be transferred into 6-8 oz pots or cups. But if you’re just planning on having a few plants, like I did this year, go ahead and plant into the 6-8 oz pots or cups or larger seed trays like the ones I used below.. 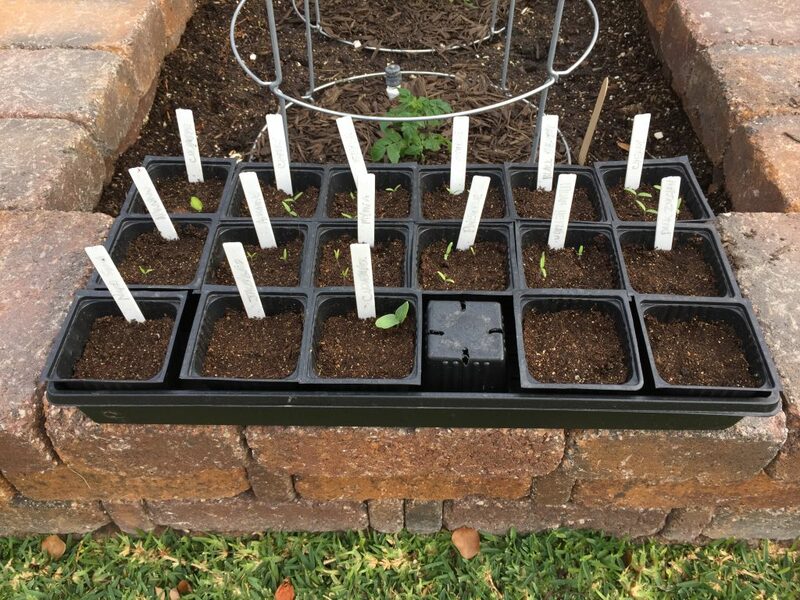 I have room for about 8 tomato plants and 15 pepper plants so I found this larger seed tray useful as I don’t have to transplant into larger pots and can take them right into the soil when ready. 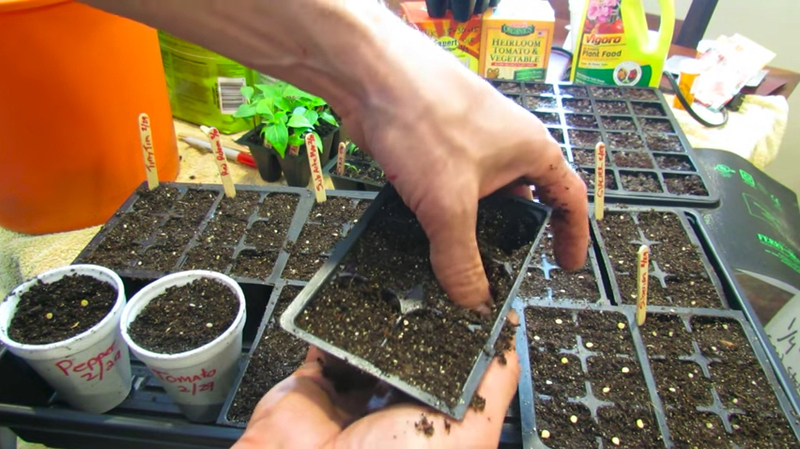 Place seeds on top of prepared soil and then firmly push down about ¼ inch (more or less depending upon seed type) with a popsicle stick or seeding tool. Top off indention with a small amount of soil and that’s it. If you’ll be starting your seeds inside near a window, they’ll have to have at least 8 hours of direct sunlight. If using artificial light in a grow room or closet, place T12 sized LED bulbs about 2 inches above soil line. If using the hotter T8 bulbs, place them about 4 inches above soil line. Leave grow lights on for 16 hours followed by 8 hours of darkness. You can regulate light cycles manually but take the time to put lights on an automated timer which will make your life a whole lot easier. Seedling heat mat for cloning propagation starting and germination improvement. Although not necessary, seedling heating mats will significantly speed up germination process. The constant, even distribution of heat radiating below seeds will also increase germination uniformity. 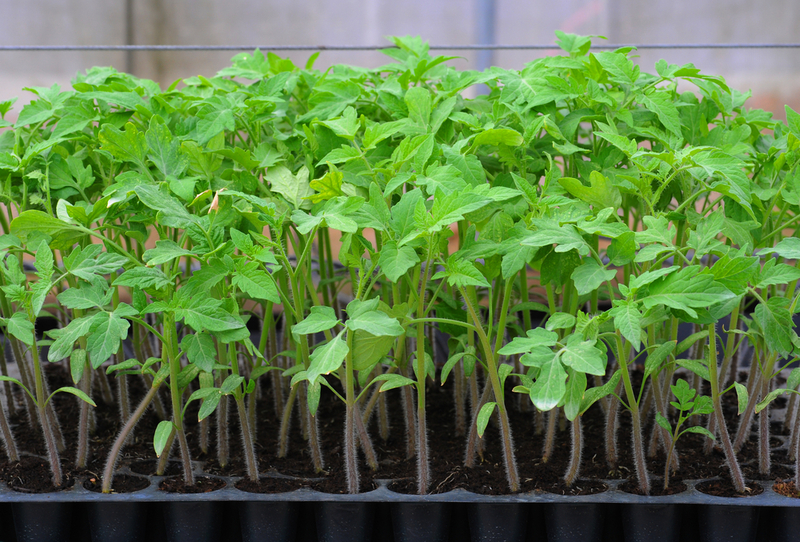 Without heating mats, tomatoes will take 5 -10 days to germinate and peppers can take 7 – 14 days. Different varieties will germinate and grow at different rates. Using a heat mat can speed up germination time between 3-5 days so well worth the effort if you want to save time patiently waiting around for your seeds to germinate. 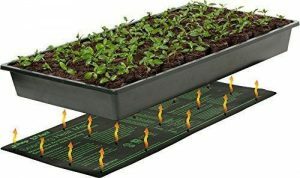 Click here to get your seedling heat mat! This is my favorite part of the whole process that I found very useful so listen up! It’s always best to bottom water, which is a much cleaner method preventing top soil and seeds from splashing dirt and fungal spores around where they’ll soon become a problem. With traditional watering over the top, it can be tedious to water each cell individually being careful not to disturb soil surface or damage young, frail seedlings. 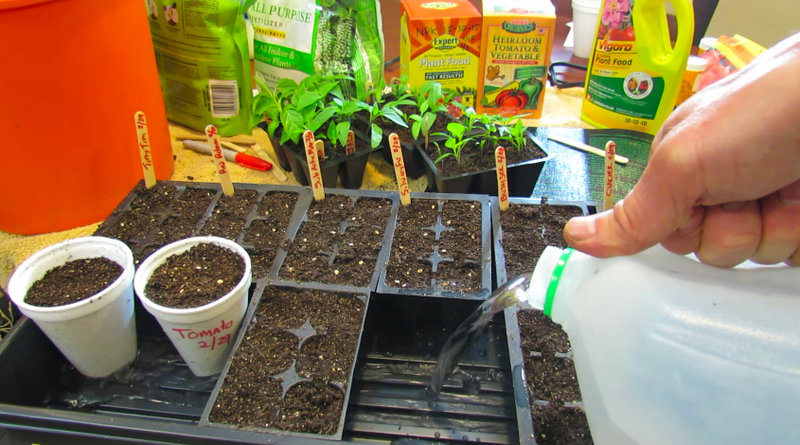 With bottom watering, you can water entire containers at once and don’t have to worry about damaging young seedlings. Just pour water into seed tray reservoir about a quarter of the way. Over the next hour or so, water will soak its way up from bottom to top, slowly moisturizing the entire soil profile. And how do you know when to water? That’s the simple part… add more water only when the top of the soil starts to dry which you’ll know when it turns to a light brownish color. The soil below will still have plenty of moisture but observing top drying is a good indicator as when to add more water. Having soil dry from the top – down has other benefits as well. 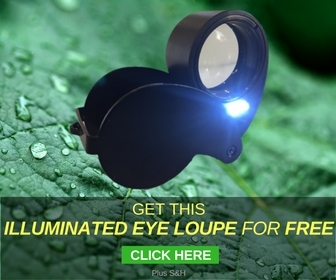 This takes care of problems with fungal diseases, like damping off, and even certain insects. Germinating plants will get most of their initial nutrient requirements and energy from the seed itself. However, seeds have just enough energy and resources to induce germination, break the soil surface, and cast out their cotyledons. Cotyledons are not true leaves but a set of embryonic leaves that emerge first after germination. After the cotyledon stage, the first true set of leaves emerge and then the plant is on its way to becoming well established. Between the first and second set of true leaves is when the plant seedlings will require an external nutrient source and is when you’ll start feeding them with a nutrient solution. Dilute between ¼ – ½ strength of a soluble, well-rounded N-P-K fertilizer into water. 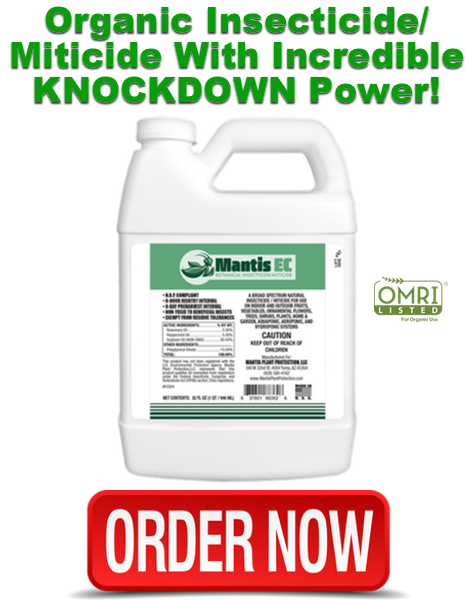 Use this nutrient solution to water plants using the bottom watering method every 14 days or so until they are ready to be moved to larger growing pots.